Samsung Galaxy A8s was announced during the Chinese conference last month . Then the Koreans bragged about the Infinity-O screen, which will get this phone. The technical specification of the smartphone has not been known so far. Until now, because it appeared in the pages of the German service AllAboutSamsung.de. 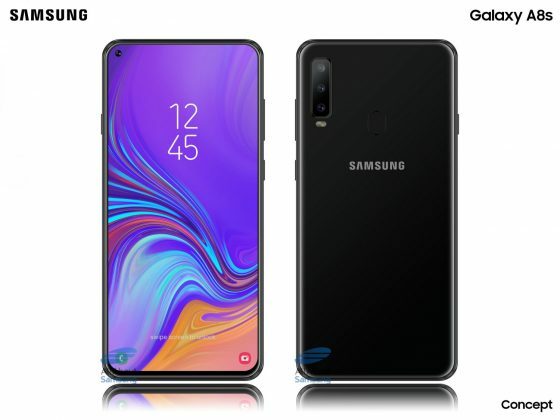 Samsung Galaxy A8s will get Inifnity-O screen with a diagonal of 6.39 inches and Full HD + resolution. It is probably an LCD display from BOE and not AMOLED from Koreans. Then we have a Qualcomm Snapdragon 710 processor with 6 GB of RAM. 128 GB of space will be allocated to the data. The microSD memory card reader is designed to support media up to 512 GB. Galaxy A8s also has a triple camera. It consists of 24, 5 and 10 megapixel sensors. Probably the same camera that is in the Galaxy A9 (2018), but without one of the lenses, because there are four. A 24 megapixel camera will be located above the screen, and the battery will provide a 3400 mAh battery. The smartphone has dimensions of 159.11 x 74.88 x 7.38 mm. The premiere is to take place in January. 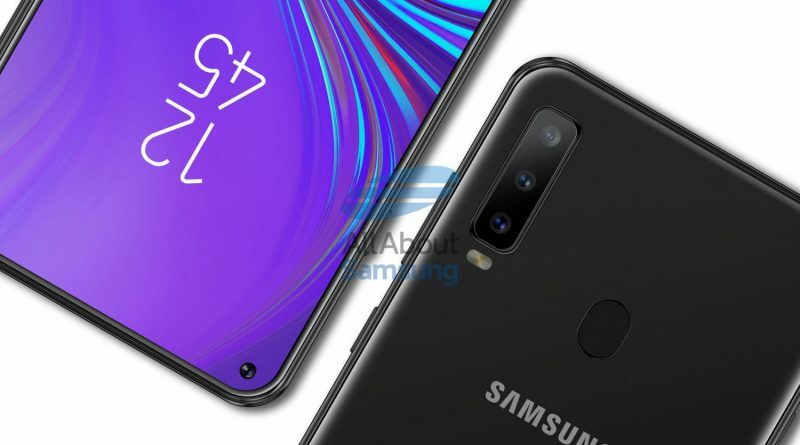 Known technical data of the Samsung Galaxy A8s model can be found below. A device with a similar screen is also being prepared by Huawei .